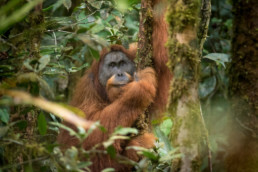 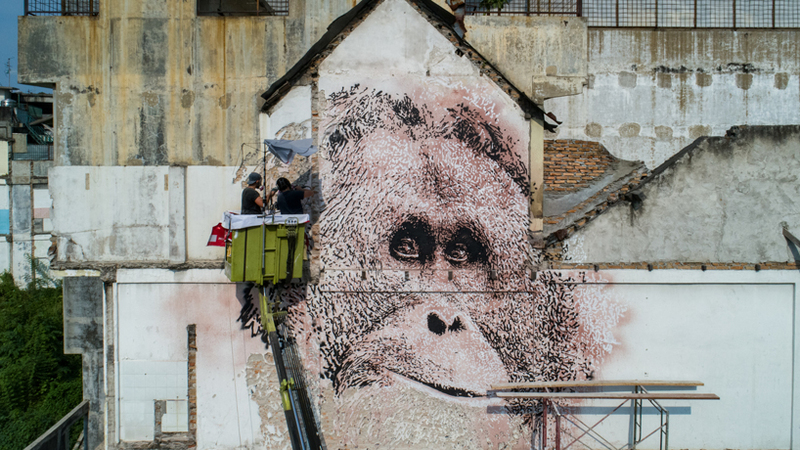 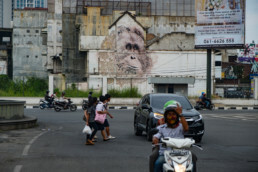 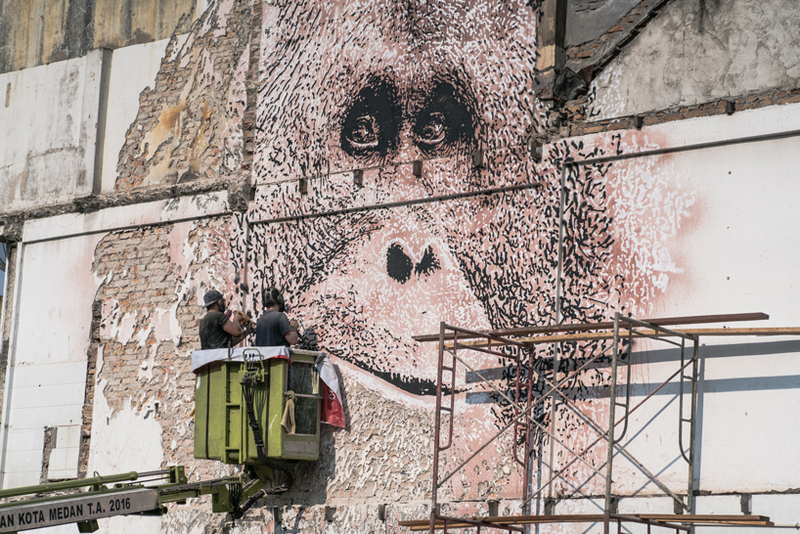 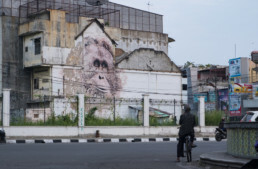 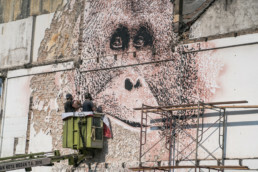 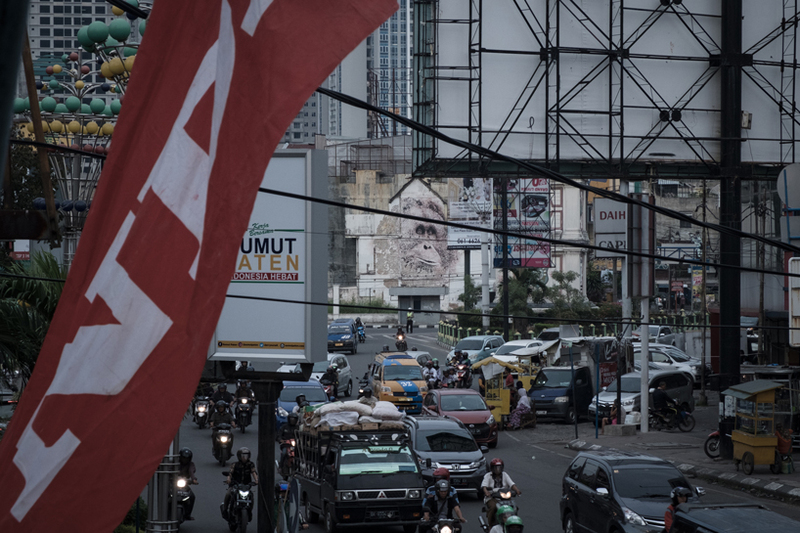 As the Indonesian government approves the decimation of orangutans and distributes building permits for a hydropower dam, activist and artist VHILS approves and distributes a barrage of chiseled lines in the likeness of globalisation’s impending victim — the handsome Tapanuli Orangutan. 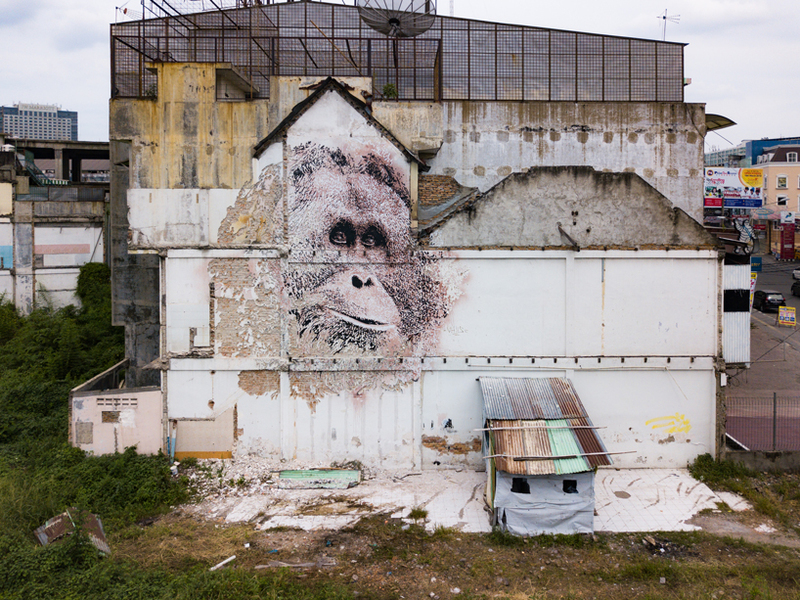 VHILS is the newest member of splash and burn. 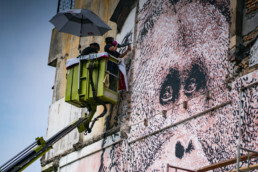 His real name is Alexandre Farto. He’s an impressive visual artist; his important, textured work thrives on the streets of Sumatra. 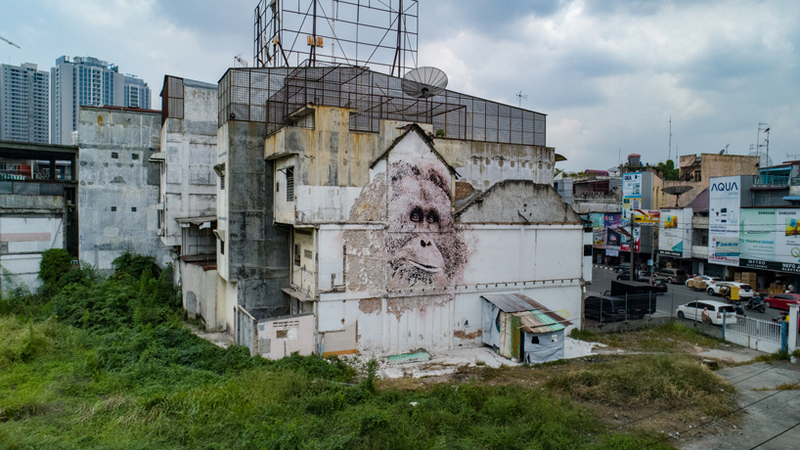 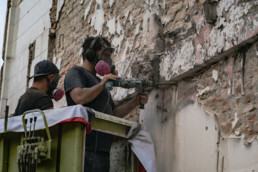 VHILS is the 9th artist to participate in splash and burn, the environmental campaign bringing awareness and hope to the rainforests of South East Asia. Splash and burn are the good guys, fighting against palm oil plantations and other forms of capitalist expansion.